On-site design services are available to ensure programs are optimal for the design of your space and the artwork by arrangement. In these cases, evaluation is done prior to the visit to determine the best estimation of your framing preferences. You aide in this process by forwarding photographs of the space via email and detailing the finishes, color and other details in the interior. In addition, disclosure of the budget is essential to efficiency, to ensure that we identify solutions that in the appropriate cost range. 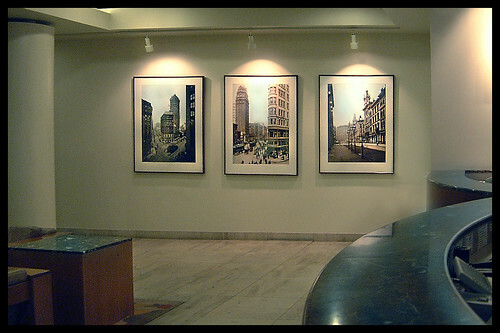 Samples are brought to the site for confirmation of the framing specificating and resolution of issues of art placement, size and installation requirements are conducted concurrently. If art selection is involved, pictures selection are brought for review as well, or conducted through on-line access to content at your site.